A train trip on the Cambrian Coast offers an ideal opportunity to explore Mid Wales without a car. There are stops along the line providing access to some of the best known tourist attractions in Wales. Trains leave Shrewsbury regularly, running through gentle lowlands around Welshpool and Newtown before cutting through the spectacular Cambrian Mountains. It is a leisurely stroll from Welshpool station to Powis Castle and Gardens, just over a mile away. The journey to Machynlleth takes less than 90 minutes; alight at Machynlleth to visit The Centre for Alternative Technology or King Arthur’s Labyrinth. After Machynlleth, the line splits with alternate trains heading for Aberystwyth and Pwllheli. “Aberystwyth shore” by Gjt6 Licensed under CC BY-SA 3.0 via Wikimedia Commons. 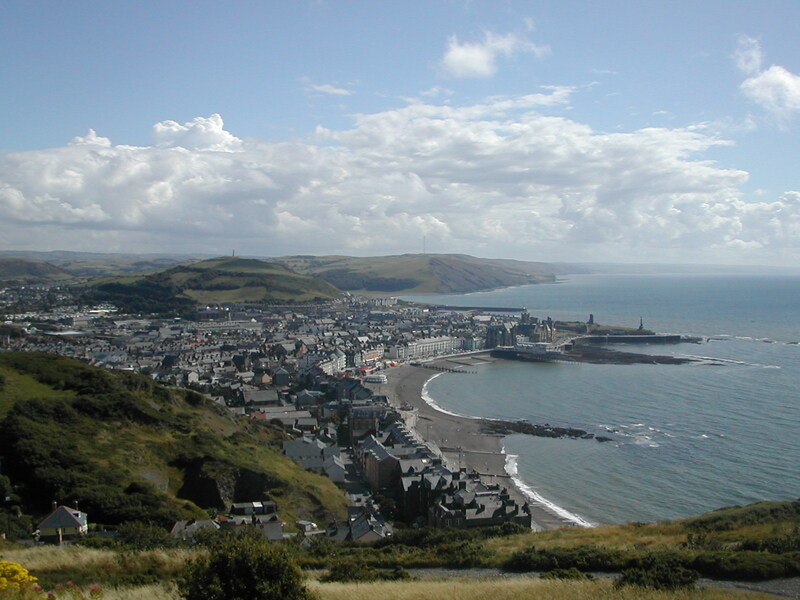 Aberystwyth, the largest town on the Cambrian Coast, set in a bay in the shade of three hills. Visit the ruins of Aberystwyth Castle, take a ride on Britain’s longest electric cliff tramway or change trains and take the steam hauled Vale of Rheidol Railway to Devil’s Bridge from Aberystwyth station. The line to Pwllheli runs along a coastline renowned for castles, narrow gauge railways and Welsh tradition, offering a great selection of Welsh days out . Connections with steam trains can be made with the Talyllyn at Tywyn and the Fairbourne Steam Railway at Fairbourne. Leaving Fairbourne, the line crosses the sandy Mawddach Estuary as it enters Barmouth. Porthmadog is the terminus for the famous Ffestiniog Railway, though easier connections with the Cambrian Coast Line are made by changing at Minfordd. Portmerion the Italianate resort village, made famous by the TV series The Prisoner, is less than a mile’s walk from Minfordd station. In the 13th century, the area was the heart of local resistance to attempts by Edward I to conquer Wales. Two major castles remain from this period. Harlech Castle was built by Edward as part of his ring of castles in North West Wales and Criccieth was built by the Welsh but was later captured by the English. Every Wednesday, Pwllheli hosts one of Britain’s busiest markets. Situated at the head of the Llyn Peninsula and edge of the Snowdonia National Park, Pwllheli is an ideal base for touring. 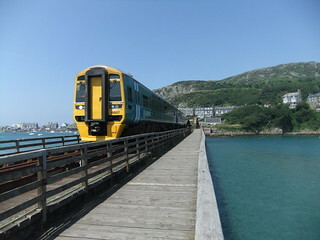 The service is operated by Arriva Trains Wales, who offer a range of discounted fares. There are regular direct services to Shrewsbury from Manchester, Cardiff and Birmingham. The journey time from London Euston is less than three hours, changing at either Birmingham or Crewe.